Tip: Pull Your Shades | Nor-Cal Floor Design, Inc. 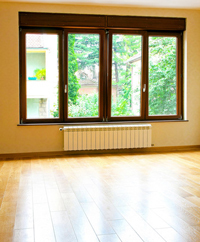 When you leave your home, draw curtains and shades to protect your wood floors and furniture from harmful UV rays. During the winter months, especially when you have reflection off snow and/or water, the damaging effects of UV rays can be substantial. For more UV info visit http://www.uvawareness.com/uv-info/uv-strength.php.